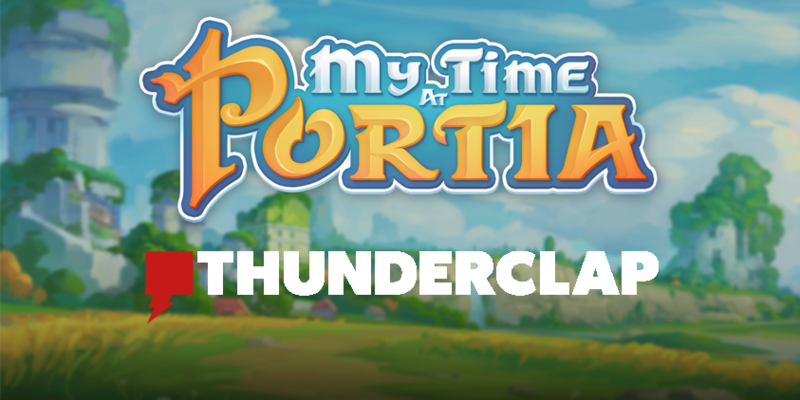 Join the My Time At Portia Thunderclap! Today’s update is a request for your support on My Time At Portia’s release day this January as we help mark the occasion with the use of Thunderclap, a social media tool that we hope to use to spread the word that the gates of Portia are open and all are welcome. To share more insight with those not familiar with Thunderclap, it allows a single message to be mass-shared across social networks at one, crucial time – empowering you to create action and attention like never before. It’s free, costs nothing to use and all you need is an existing Twitter, Facebook or Tumblr page! We can’t wait for gamers to experience the enchanting world of Portia next year and you can help make the Early Access launch truly special by spreading the word about My Time At Portia even further. The more people that play the game, the better we’ll be able to support you all!